Our final stop on the North Island of New Zealand was Wellington, the capital city. From there, we'd take the ferry to cross over to Picton on the South Island. With only one full day to see Wellington, we walked around and tried to see, do and eat as much as we could manage. I think we succeeded quite well so I have a lot of places to share with you! Our 'home base' in Wellington (1 day 1 night) was the Wellington Waterfront Motorhome Park. Possibly the least charming camping spot ever but I must admit the location was quite convenient. From the camping park, you can just walk along the water on a pedestrian walkway, which provides some cool views of Wellington Harbour. The fun thing is that people are kayaking and swimming here, right by the city! You can also rent kayaks and paddle boards yourself if you're feeling sporty! Along the water there are quite a few restaurants and bars, which makes it a very lively area, both during the day and at night! 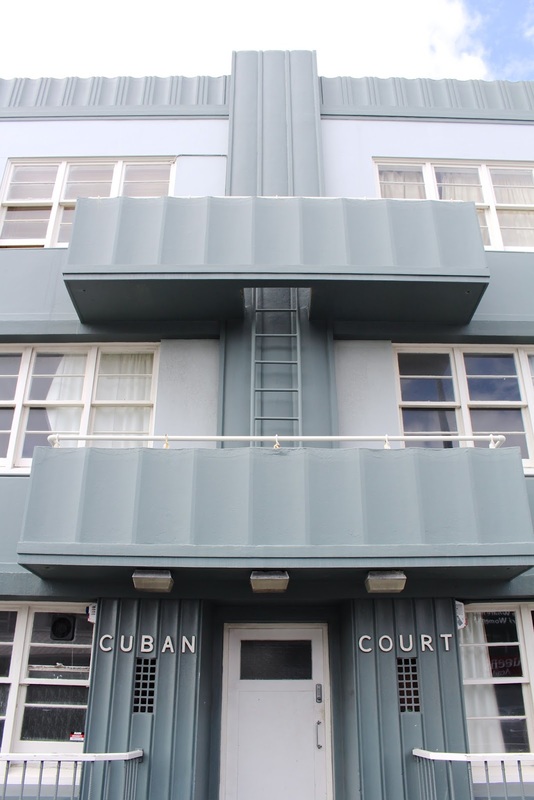 We first went off to explore the Te Aro area, and more specifically Cuba Street, which is a very popular street for travellers since it has lots of cute cafés, shops, restaurants and bars. 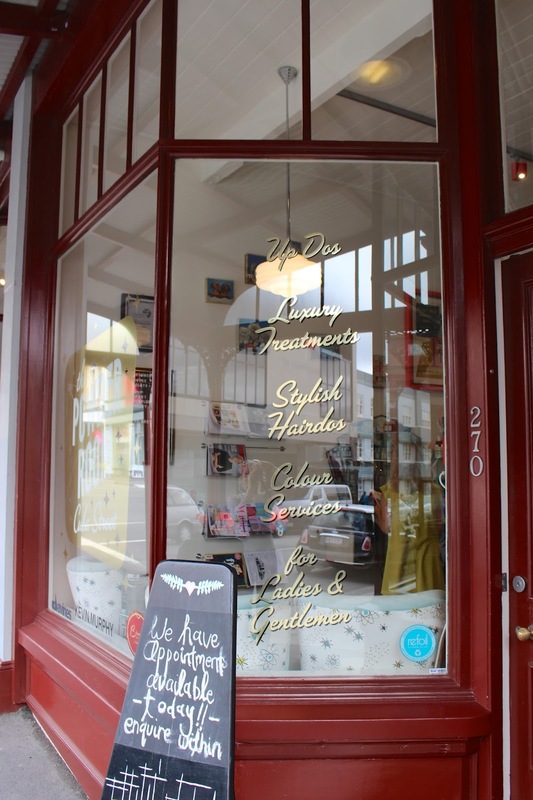 As we walked down Cuba Street we passed many bohemian (quite frankly touristy) looking spots. But as you reach the south end (the 'top'), it's less crowded and a little more genuine. 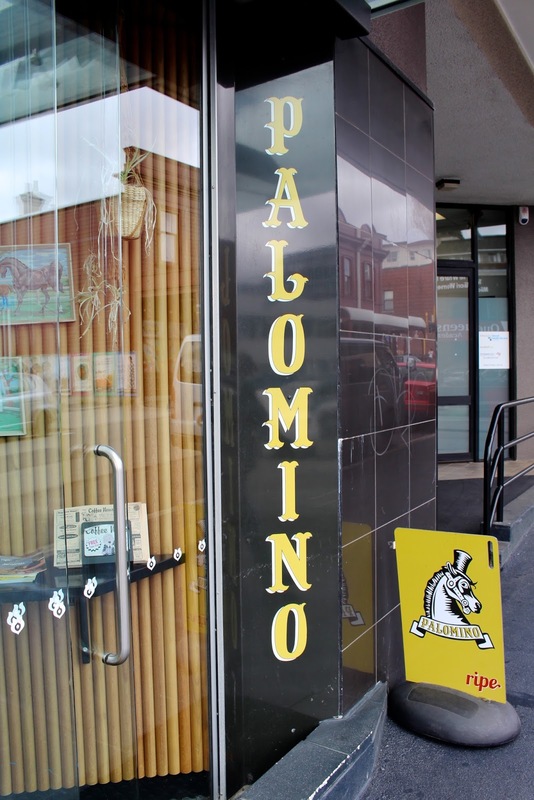 Palomino is a little coffee shop which looked so appealing we couldn't resist. The barista is a really friendly Cuban guy named Roberto who moved to New Zealand and opened a little coffee shop. The coffee was really excellent, but I didn't expect any less! After our coffees we walked back down Cuba Street to grab some lunch. 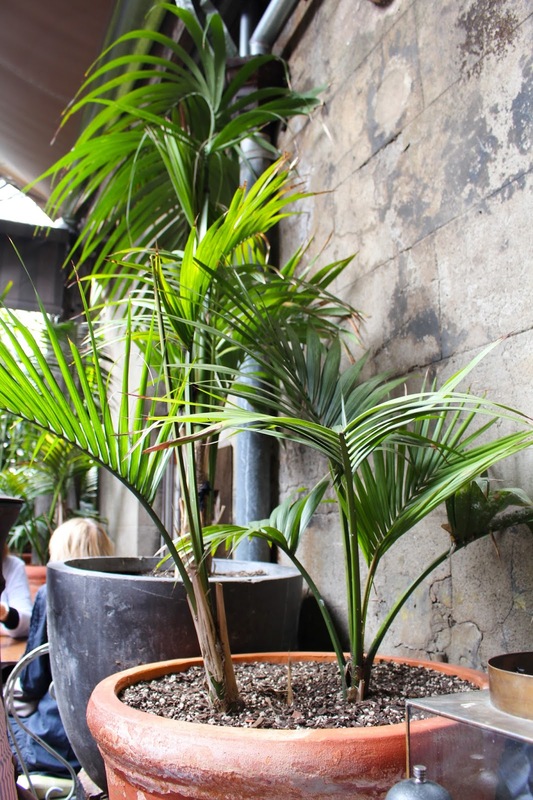 There were a few options on my list but in the end we settled for Olive since they have a cute jungle-style garden in the back of the restaurant. Although I had high expectations of this place, I was kind of let down by the food. There wasn't anything wrong with it, but if you put a green salad on the lunch menu as a main, it should be sized as a main too. Even with a side of fries (really good) we left kind of hungry. Nonetheless, I saw some amazing-looking brunch dishes which I think are worth trying (they can even make it vegan). I guess this was just a case of ordering-the-wrong-thing-from-the-menu ;) Despite it all, I still liked Olive! After lunch we walked to the 'museum quarter' (as I like to call it) where the most important museums and galleries are. The modern art at the City Gallery Wellington wasn't really our thing but they have new exhibitions every few months and the entrance is free so it's definitely worth a look. 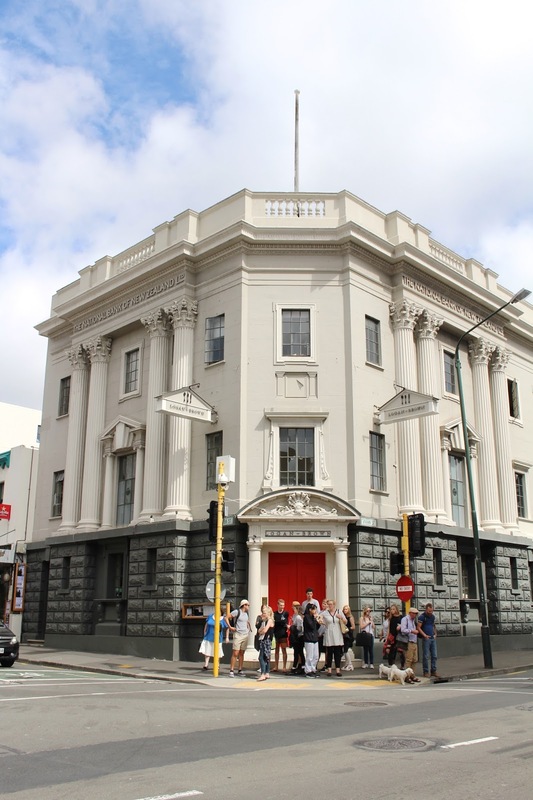 This is one of New Zealand's most important museums, if not the most important. 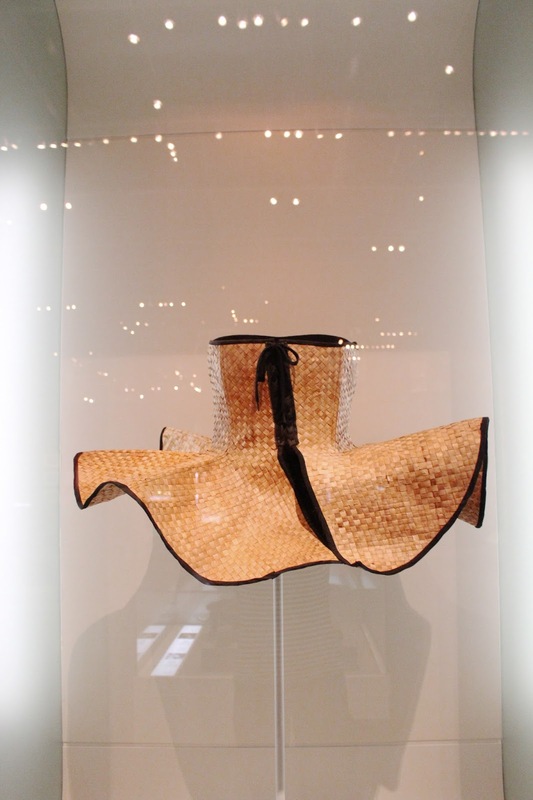 If you want to go to a museum in New Zealand, this is it. 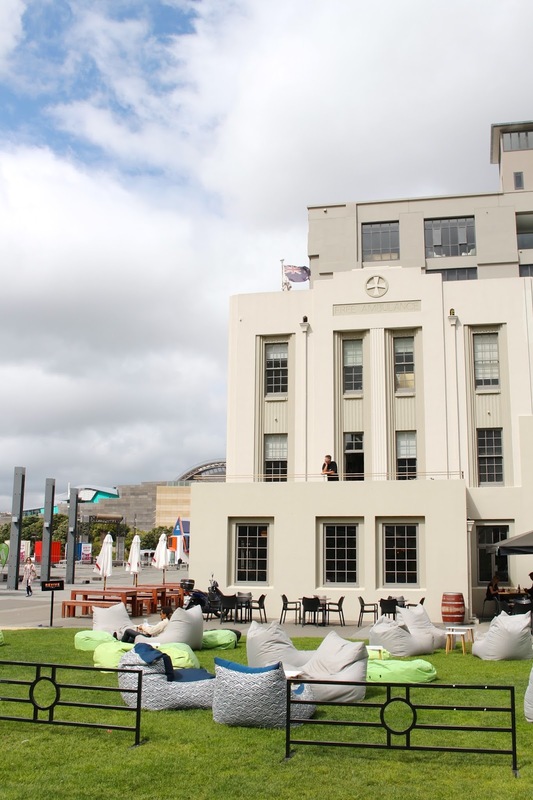 It houses both contemporary art and New Zealand's cultural heritage. Although the layout of the museum felt a little bit like it was catered to groups and schools, there is tons of information, things to see and do. My favourite part was the photography section, where you get to see New Zealand 'then and now'. 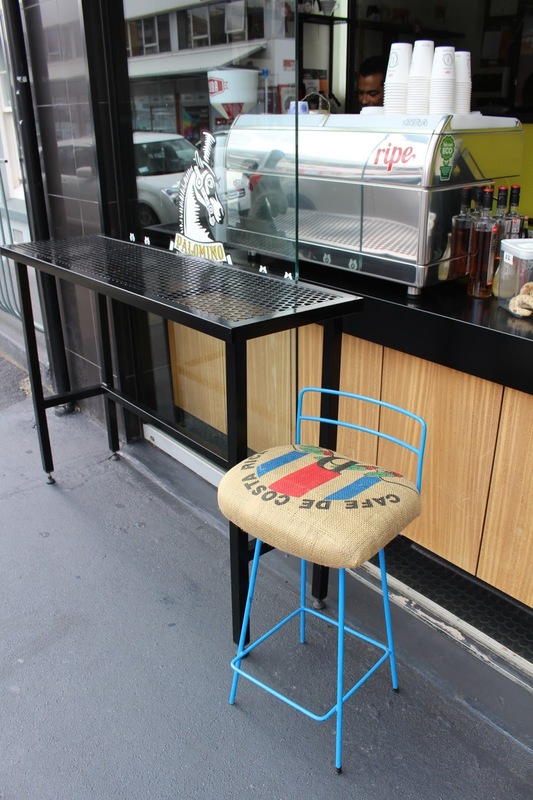 Due to lack of time I didn't get to try this coffee place (also, they close in the late afternoon), but I heard it's the best coffee in Wellington so it's worth a mention! Next to Supreme coffee (like I had in Auckland) they also do pretty good snacks like doughnuts and peanut butter banana toast. Right opposite Customs you'll find some really cool graffiti art works, very insta-worthy! We passed this adorable tiny coffee place, where a customer was very happy and proud to pose with his dog, so fun! It's called Pavement Coffee Box and you'll find it on Tory Street. This memorial commemorates the New Zealand deaths from WWI and WWII. Right behind the memorial is the Dominian Museum, where there is an exhibition created by Sir Peter Jackson (the one from Lord of the Rings yes). 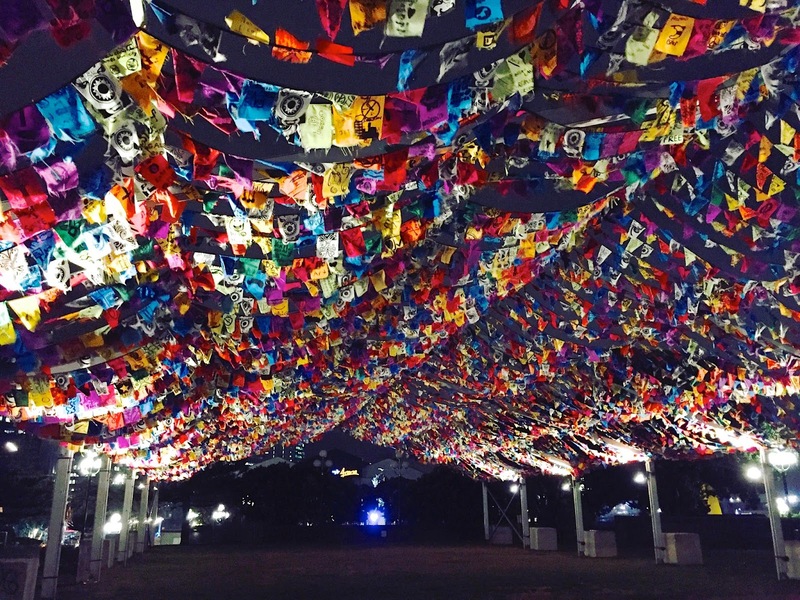 It's on until November 2018; worth a look! After walking and visiting museums for a couple of hours we were feeling peckish again, so we stopped at House of Dumplings for a snack. The good thing is that you can order by the dumpling, so you can eat as much or as little as you wish. 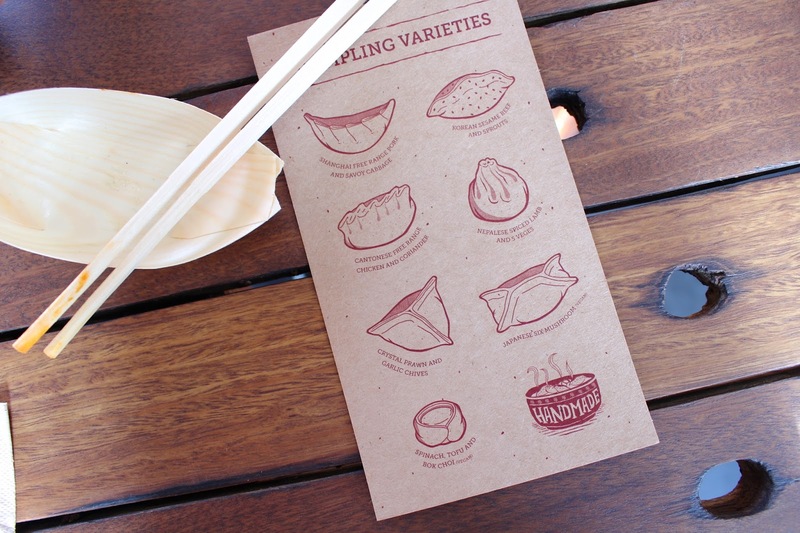 All the dumplings are homemade, natural and made with locally sourced ingredients. My favourite was the Japanese six mushroom, but to be honest they were all excellent! 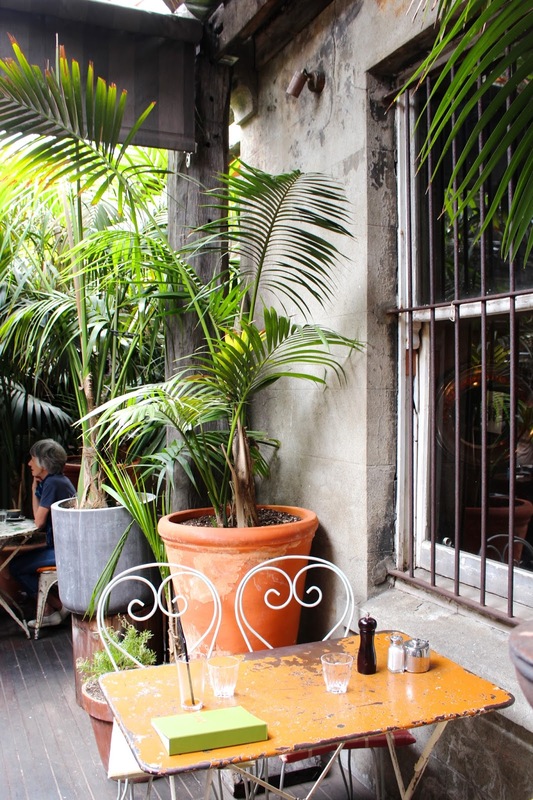 It's the perfect place to stop for a quick bite. 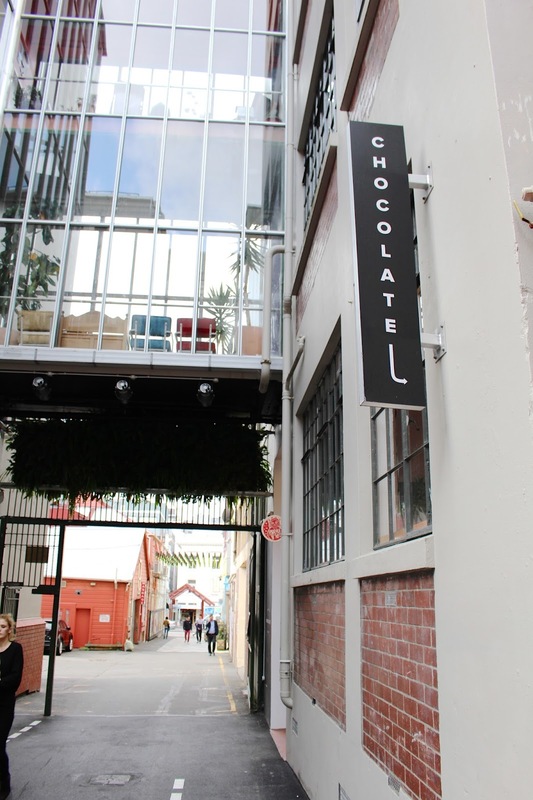 Because we hadn't eaten enough (clearly), the next thing on my list was the Wellington Chocolate Factory. This chocolate really really exceeded my expectations. 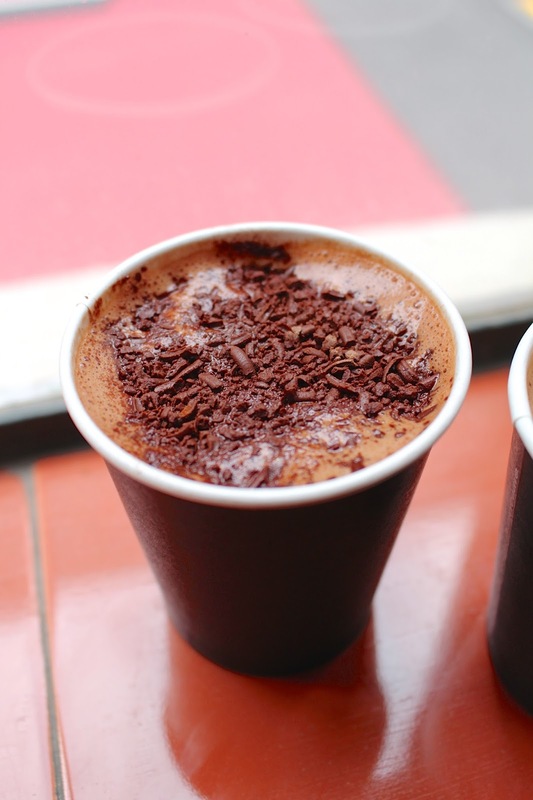 When you walk in a heavenly thick chocolate scent fills the air which I loved. Although they were about to close, we still managed to get two hot chocolates, some small chocolate bites and a few chocolate bars. The hot chocolates were divine (the one with caramel - oh my god) but my peanut butter bite was even better. 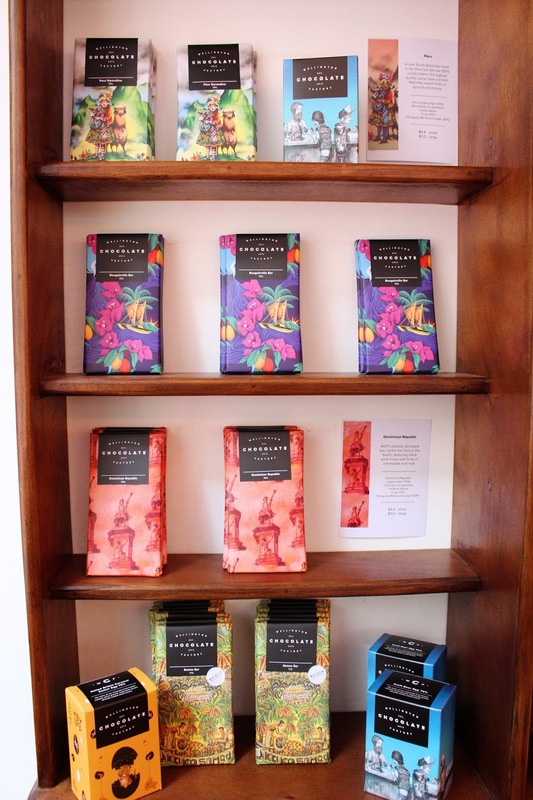 We saved the chocolate bars to eat during our hikes on the South Island and every single one was amazing. Hands down best chocolate I've ever tried. And that says a lot for a Belgian chocolate lover ;) If you ever get the chance, try this chocolate. Peanut butter, raspberry and 70% dark chocolate bar & coconut milk chocolate. Amazing amazing amaaaazing. After our chocolate overdose we decided to enjoy the last drops of sun while doing something active! We ended our day at Apache. Because we were quite late, there was a limited choice of dishes from the menu, but I was really pleased with my big and flavourful papaya salad. I also tried the salt & pepper squid which was also really good. 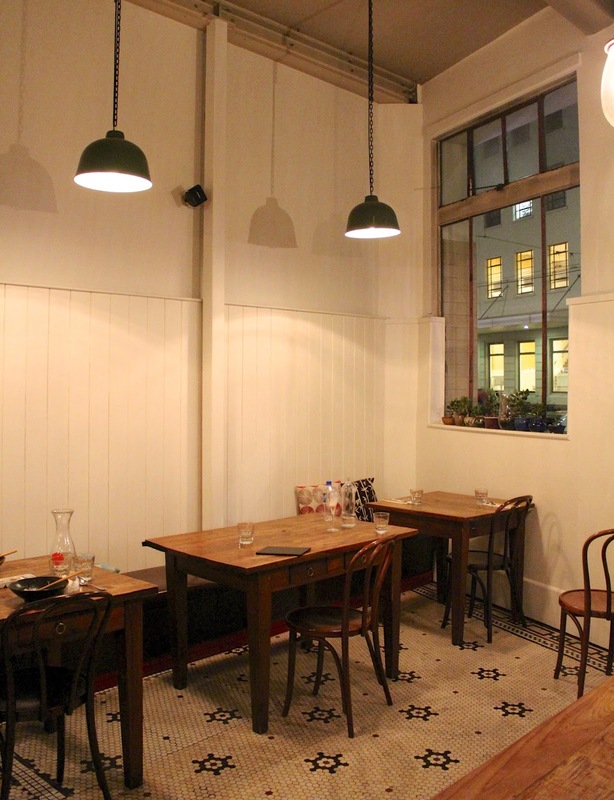 The prices are reasonable and there's a relaxed atmosphere in the restaurant. A good ending to our full day of exploring Wellington! 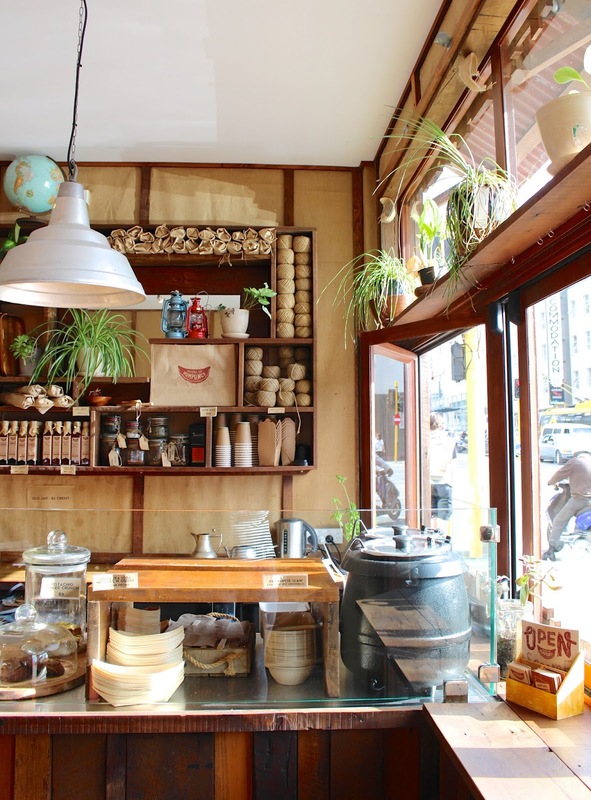 As you might have noticed Wellington is a really cool city food-wise. Even though it's the capital, it feels really small which makes it easy to walk everywhere. It's smaller than Auckland so you can see quite a lot in one or two days. Other recommendations I got for breakfast were Prefab and Floriditas, Thunderbird for lunch and Loretta and Cin Cin for dinner. I also heard good things about the Sunday market. 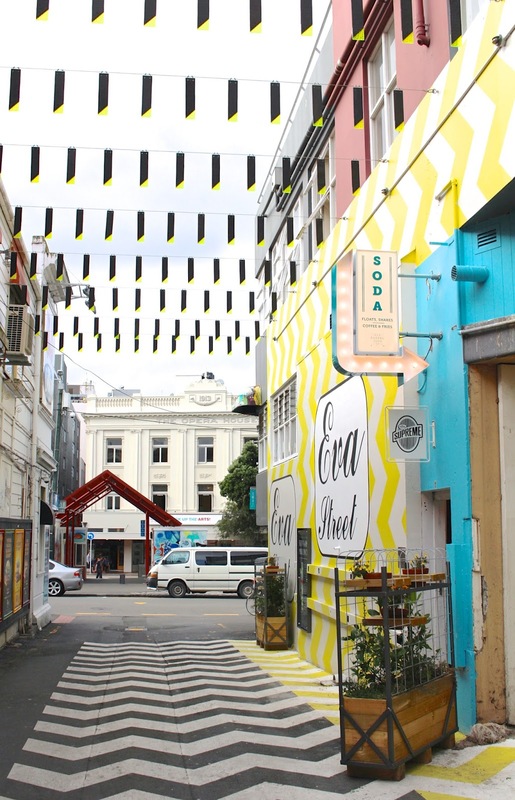 All in all, plenty to do, see and eat in New Zealand's capital. I hope you enjoy! 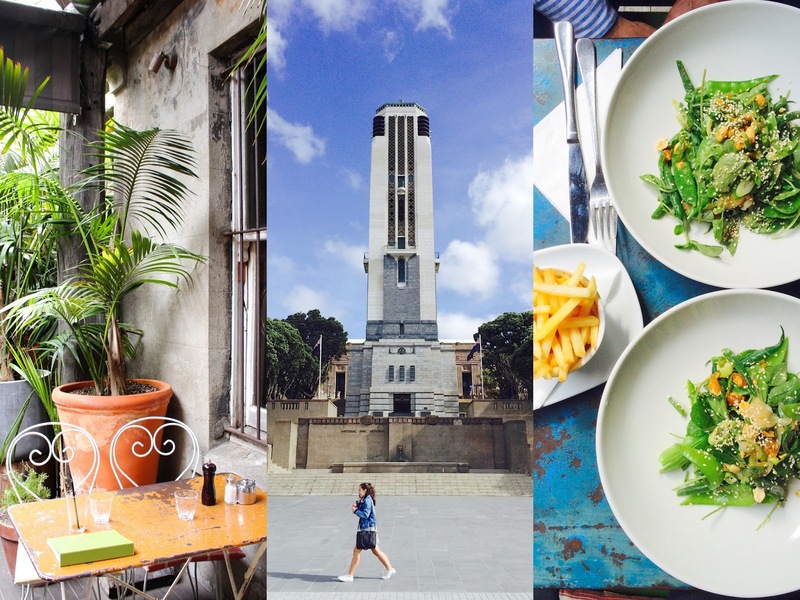 Also check out my Auckland guide if you haven't done so.